The militants say that they don't want to open the Zolote checkpoint on their part of the occupied territory of Luhansk region since the nearby territory hasn't been cleared from their part. "They say: they are not ready [to open the checkpoint,] because that side has not been cleared. You could not demine it during three years?" Marchuk said on Monday morning. At the same time, he expressed conviction that, if desired, the division of the Russian engineering troops could well demine this territory in a couple of days. 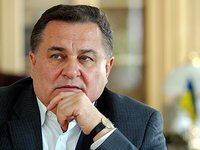 Marchuk added that in a day, March 27, at a meeting of the Trilateral Contact Group in Minsk, Ukraine would raise the issue of the opening of this checkpoint before the Russian side. "Ukraine will put the question before the Russian side: explain to the world why you do not agree to open the Zolote," said the representative of Ukraine in the TCG. Marchuk also expressed surprise at the behavior of representatives of the OSCE Special Monitoring Mission (SMM) on this issue. "In such cases, as far as I understand it, the OSCE SMM could be active," he said. It was reported, On Sunday, Joint Forces Operation Commander Serhiy Nayev said representatives of local government bodies unilaterally opened the Zolote border crossing checkpoint in Luhansk region. He said as of 14:30 employees of Ukraine's State Border let more than fifty people and nearly one hundred and fifty vehicles into the "grey zone" and out of the "grey zone," the border service's press department said. Meanwhile, Russia-occupation forces refused to open a checkpoint on its side for entry and exit, demonstrating a neglect of moral principles and international law, the border service said.